Today is Free Book Friday! | Homeschool Supermom…NOT! The wonderful folks at New Leaf Publishing are giving away more than $160 worth of new curriculum to one blessed person! It’s so easy to do, even if you aren’t computer savvy. 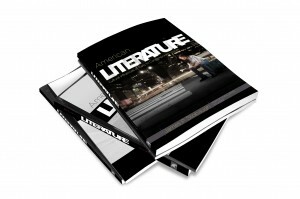 Would you like to win a copy of World Literature, British Literature, and American Literature curriculum plus teacher’s guides — all by James Stobaugh — 3 years worth of high school curriculum? Follow the very easy directions on the Rafflecopter widget at the bottom of this page to enter. The winners will be contacted by Master Books. Let me tell you about this new, hot-off-the-press literature curriculum. Entering to win is so easy! Just follow the easy directions on the widget below. It’s that easy! Contest closes at midnight on Sunday evening. This entry was posted in Curriculum Reviews, Uncategorized and tagged contests, Curriculum Review by Susie Kemmerer. Bookmark the permalink.